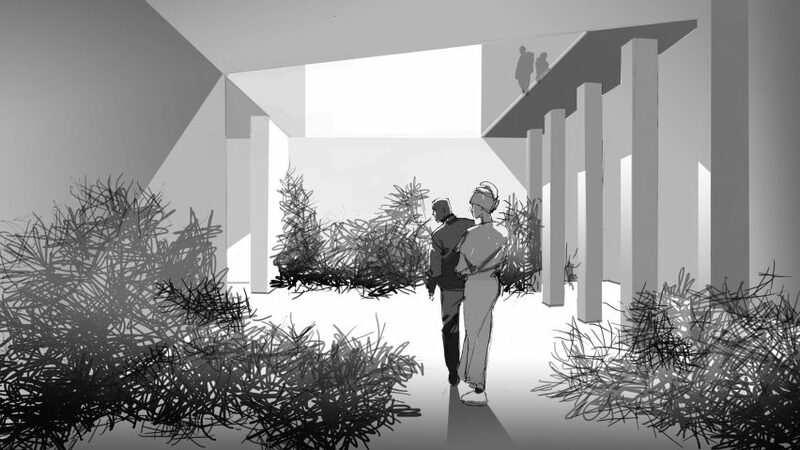 Royal College of Art graduate Devan Skuban has designed a conceptual Brexit-themed museum that would look into how Britain's departure from the European Union will impact immigrants. Named Brexit: A Sense of Autonomy, the project is Skuban's final project on the interior design masters course at the Royal College of Art. The museum would be set within a 19th-century horse stables on Brick Lane. This area of the capital that has been largely populated by minority communities including Irish, Jewish, and now Bangladeshis, and was chosen by Skuban as the "epicentre of London's migration story". Rather than exploring the logistical implications of the Brexit campaign, Skuban's project instead focuses on how increased border control throughout the European Union (EU) will affect the experiences of, and sentiments towards, immigrants. "As a Canadian I have only been on the edge of migrational politics," Skuban told Dezeen. "Brexit is a successful attempt in dividing a nation on the 'cost' of migrants, and that is sad for me to see as an outsider." The graduate envisages visitors entering the museum via a heavy steel door, where they are greeted with the message "welcome to the UK, where you are not so welcome". Visitors would then be offered to take two different routes through the building. One is intended to represent a "closed" version of Britain where migrants from the rest of the world are discouraged. This route would be cramped, with dark corridors crafted from black steel that will emit tiny electric shocks, and have a series of CCTV cameras. 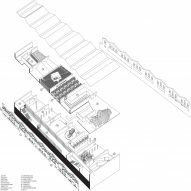 The second path is meant to emulate the "privileged" position of a British citizen, and would be completed with a selection of seats where visitors are invited to observe the discomfort of the other visitors on screens. Following rooms include one that features a long table with typewriters, where people can write out and share their own migration experiences – these letters can then be dropped through small openings in the floor, where they fall to a room below to be read by other visitors. Another room would feature a tall panel of smoked glass that visitors are encouraged to touch and leave behind fingerprints, which Skuban says are "as important as visas" for undocumented immigrants. One of the rooms will be filled with scent of burning haystacks, directly influenced by Skuban's findings that 98 per cent of workers in the agricultural industry are migrants. The ground floor of the museum would also play host to a large installation that shows oversized models of hands emerging from a pool of water, intended as a comment on the often treacherous journeys that migrants must take to reach their destination country. "I have tried to capture emotional events that provide a common thread to those locked into unacceptable situations from which they wish to escape." explained Skuban. "Brexit for me is a start to this narrative, as it has focused a lot on migration and the cost and impact of migrants on the economy, which is untrue." UK practice Caruso St John made a statement about Brexit at this year's Venice Architecture Biennale, where they collaborated with artist Marcus Taylor to create a huge rooftop platform intended to serve as a "place of both refuge and exile". Earlier in 2018 creative agency Superimpose Studio also launched a series of anti-Brexit billboards which compared the success of the political campaign to a disappointing burger.